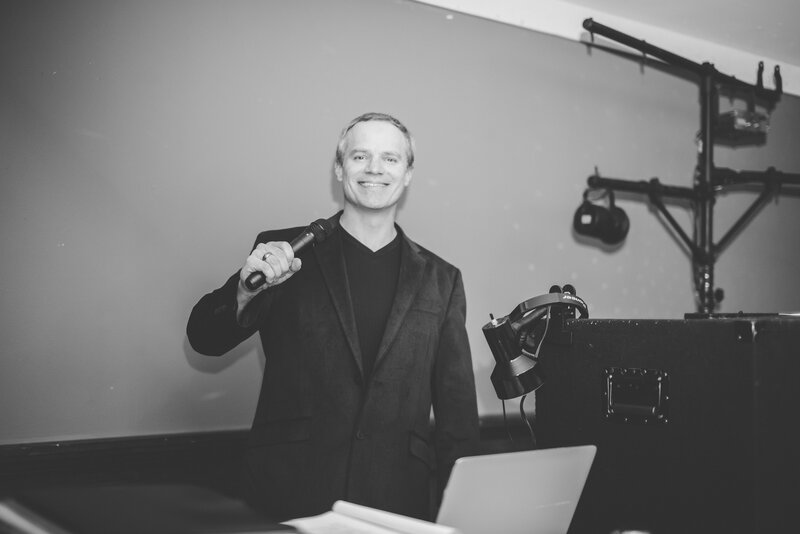 Millennium Mobile DJ was founded in 2004 by DJ Jeff Madama of Hilliard, Ohio who began his career as a professional entertainer in 1997. “My smile says it all. I love my clients and love what I do” Above photo, compliments of Leena Bee Photography. A common denominator of the compliments I receive is that I aspire to play music all generations love and appreciate. My ongoing mission……. I strive to create a personal experience for all of my valued wedding clients in a manner that reflects their values and beliefs. Service territory includes Columbus, OH and all surrounding suburbs. We also service areas outside city limits. How long have you been a professional DJ and how did you get into the business? While attending college full-time at Ohio State in 1997, I was in the market for part-time and flexible employment to help make ends meet. While scanning the classifieds one afternoon, I came across an opportunity with an established entertainment company looking to recruit and train new talent. Prior to this, the idea of becoming a DJ never crossed my mind. The opportunity appealed to me so I forged ahead and scheduled an interview. Following the interview, they were willing to give me a shot to test my aptitude. After several training sessions at wedding receptions and other events, I was hooked and new my heart was in this business. They were impressed with my reviews and provided me with a set of gear; working me most weekends and I eventually made the decision to go into business for myself and established what became Millennium Mobile DJ. What sets you apart from other DJ companies in Central Ohio? First and foremost, my clients are a top priority and I make myself readily available to answer questions, concerns, or desires in a timely manner. I can easily be reached by phone and email and will respond in a prompt manner. I have a passion for what I do which will be obvious in my work and in our conversations and I thrive on helping clients create an awesome entertainment experience. Planning, planing, planning. I will work with you in any capacity necessary to help you plan an entertainment experience that is unique and will remain attentive to your needs. Whether it is your BIG DAY or any other cause for celebration, it is about you, not me, and it will be readily apparent to you the day of your event that there is no place I’d rather be than celebrating with you. Present and former clients of mine will tell you that working with me means that you’ll not only get straight-forward, impartial feedback, you’ll also get someone who makes your needs a priority. Red, White & Boom! Standing engagement from July, 2004 to July 2012 DJ/Emcee. July 3, 2012, Red, White & Boom is once again bringing back Children’s Park presented by Columbia Gas located at Long St. Boom! Partnering with Millennium Mobile DJ, Children’s park will feature a wide range of interactive and educational programming. Thousands of children, parents, and grandparents flock to Children’s Park. Music, games, educational activities, face painting and more keep children entertained for hours. I am happy to take your calls 7 days a week and will promptly address your questions. Disc Jockey Columbus OH providing disc jockey services in Central Ohio specializing in wedding receptions, parties and special events. Jeff was very professional and provided excellent service. Jeff provided many ideas to keep our wedding guests involved. He gave us the idea of the wedding shoe game and everyone talks about how that was hilarious and fun. We had a lot of shy guests that didn’t want to get on the dance floor but Jeff had guests get up and form party lines and had us doing a conga line! It was awesome! Our really only one request was that he keep the dance floor full and with our shy guests he was able to entice involvement and keep the party going. I will recommend him anytime!!! For the organized bride he also makes a good vendor because he replies to all his emails and is very organized himself. He never gave us a worry that he would not fulfill our service agreement and went above and beyond what we ever expected! !